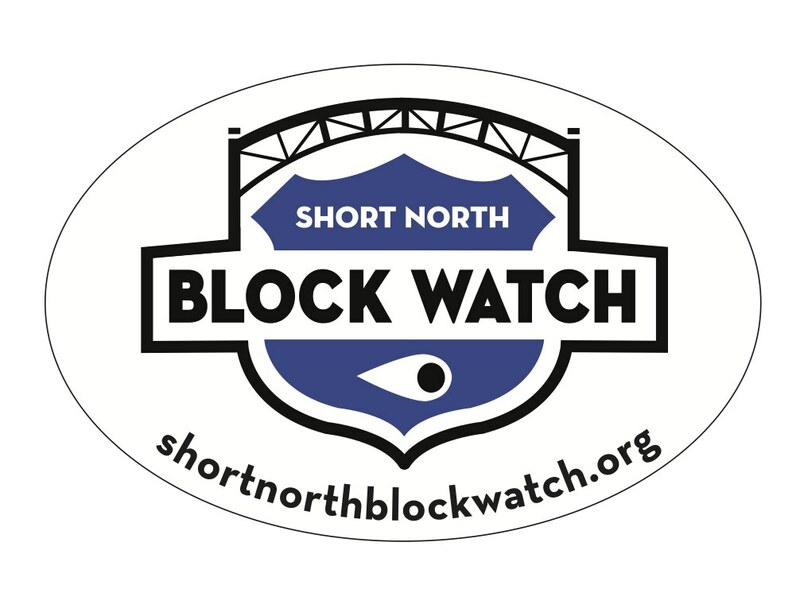 Short North Block Watch (SNBW) window decals are now available to residents and businesses of the Short North neighborhoods. The decals feature the SNBW logo and web address. They are meant to build awareness of the Short North community’s vigilance and neighborhood pride. Local volunteer Ali Wade performed the graphic design work, with original logo by resident Kevin Fox. This initiative was spearheaded by Malcolm Riggle, whose leadership and generous donation made this project possible. Short North Block Watch Coordinator, Amelia Costanzo, explained that the SNBW and its partners “encourage residents and visitors of the Short North to program the Columbus Police Department’s non-emergency phone number into their phones to call in suspicious behaviors or other matters they wish to be drawn to CPD’s attention. An alternative way to report this information to the Columbus Police Department is through their CPD Tips app.” The SNBW facilitates information-sharing through their Facebook page, on their website, via email, and through their partners’ social media and websites. The SNBW also runs special campaigns, events, and programs to promote crime-prevention and safety throughout the Short North. 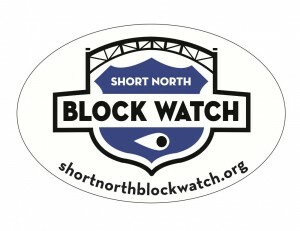 Visit shortnorthblockwatch.org and facebook.com/theshortnorthblockwatch to order decals and for more information. The Short North Block Watch (SNBW) was established by the coordinated efforts of the Short North Civic Association, the Short North Foundation, the Harrison West Society, and the Italian Village Society in 2011. The goal of the SNBW is to allow residents, business owners and visitors of The Circles, Dennison Place, Harrison West, Italian Village, Victorian Village, and the High Street Business District to share crime- and safety-related information, and to foster collaboration in order to achieve a safe and comfortable environment.